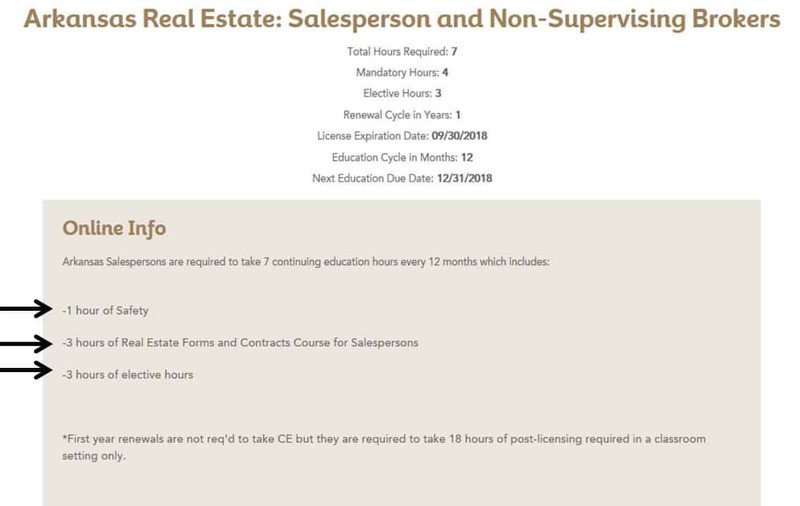 What courses do I need to take to renew my license? Each state is different in regards to what is required for your license renewal. For this little guide I am using Arkansas Real Estate for the example, but the process will be the same to check for any state you are licensed in. Now to determine what you will need for your renewal we are going to go to the full requirements section to see what is needed. So now we will have different options. 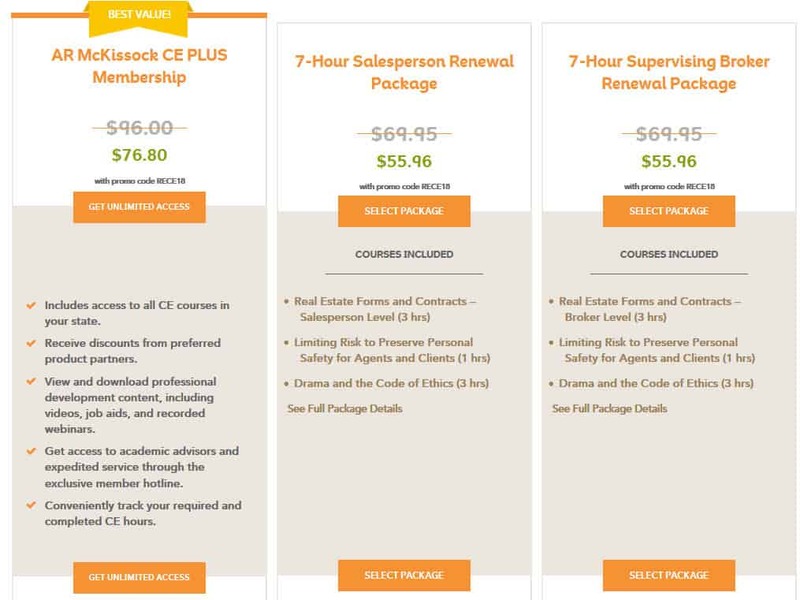 The CE Plus will give you 1 full year access to all of the continuing education for your state so you can pick and choose what you would like to take. The other options are pre-bundled packages.